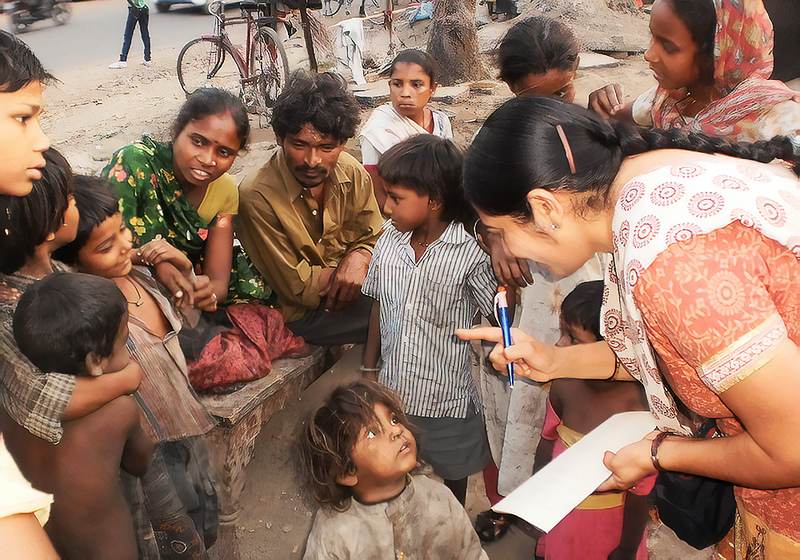 Last week Buddha’s Smile School founder/director, Rajan Kaur, visited a neighborhood of garbage collectors to select several new students for the new school year which begins July, 2012. These are children who would not otherwise be going to school. This photo above shows several of the children who are giddy with delight at being chosen as one of the 22 new students. When you come to the last photo in this series you’ll see some of our current most advanced students. What a transformation our kids have while at BSS! These photos show the ‘before’ and in a few years, if the families will commit to their children’s education, the students will be transformed into confident sharp kids ready for high school.